City living gets a dramatic upgrade in one of the IOI Group’s latest projects with Kim Heng Seng Realty. Situated within minutes of the Central Business District and the Orchard Road shopping belt, the new freehold condominium rises over the urban panorama of District. The 90,500-square foot lot on 101 Mergui Road is the address for 250 luxury apartments, collectively known as Cityscape @ Farrer Park. 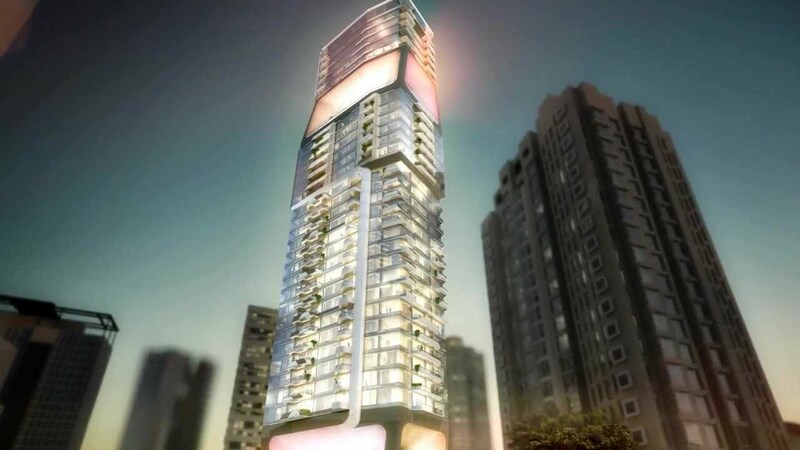 The single residential tower displays an extremely sleek, modern facade by the acclaimed AADP Architects. It’s an impressive, iconic structure glistening in the skyline; one that you’ll be proud the call your home. Cityscape @ Farrer Park further heightens the cosmopolitan lifestyle with creature comforts that every sophisticated urbanite shouldn’t have to live without. The ground floor welcomes you with a glamorous main entrance, past the driveway and the guard house. As you tour the rest of this first level, you’ll also discover recreational offerings such as a 50-metre lap pool a children’s pool, a sun deck, and a jet pool. There are changing rooms as well, or course, for your convenience. Also in that general area are a barbecue, steam baths, a ping pong table, a gym, and a multi-purpose room. And as no lifestyle community can be complete without a Clubhouse, Cityscape will have one too. But that’s not all – the building has even more amenities on the fourth floor Roofscape. For some active fun, grab a friend and your rackets for an energizing round of tennis. For a time of quiet, you can settle down with a good book at the Cozy Corner. Your Kids, meanwhile, can explore the playground. You can enjoy a fresh-cooked meal with your family and friends at the Barbecue Pavilion, also on the fourth floor. Or maybe you’d like to have a lovely afternoon together at the Light Garden. On those times you’d rather wind down, whether by yourself or with loved ones, you can take a retreat at the Spa Pavilion. Refresh your senses at the Waterscape Garden, or get invigorated at the Garden of Lights. The rest of the levels are dedicated to a satisfying assortment of residential spaces, from two-bedroom flats to four-bedroom penthouses. Whatever the size or lifestyle of your household – whether you’re a blissful newlywed couple, eager parents with little kids, a vigorous fambam with teens, or even a multi-generational family – you’ll find a home that’s just right for you. You will surely delight in living in a home like this: it isn’t merely decked out in designer interiors, but also in well-respected international brand names like Bosch, Hansgrohe, and Toto. In this neighborhood, your life will be complete, enjoyable, and downright great. You’ve got everything within a convenient distance – schools, eateries, workplaces, shopping complexes, commercial centres, hospitals – you name it. You won’t lack anything. Considering a new school for your son or daughter? You’ll have a lot to choose from nearby. There’s Farrer Park Primary, Hong Wen, St. Margaret’s, St. Joseph’s Institution Junior, Anglo-Chinese School, Balestier Hill Secondary, and many others. Is your teen considering a college to attend? They might like it at Lasalle College of the Arts, SOTA, or SMU. Retail and recreation are easy, with a string of shopping centres close by. You can shop at United Square, Novena Square Square 2, Velocity, or City Square Mall. Then amp up the experience at Orchard Road, Singapore’s celebrated shopping district. There, you’ll come upon a variety of stylish finds and satiating eats, from the commonplace to the glam. Little India also happens to be quite near, with its colorful assortment of merchandise and cuisine. For your everyday household needs, you can pop by the nearby NTUC Fairprice or Cold Storage branches without much trouble. You’ll never have to get bored with food choices ever again, given the vast menu around you. Apart from the many different restaurants, there are food centres at Newton, Pek Kio Market, and Tekka Centre. You might also want to check out the hawkers at Berseh Food Centre, Lucky Food Centre, Barakath Food Centre, Golden Mile Food Centre, or Delicacy Food Centre, all of which are just a few blocks away from home. There are also a bunch of hospitals close by, like Mount Elizabeth Novena, Tan Tock Seng Hospital, Ren Ci, Parkway Health, Thomson MEdical Centre, and KK Women and Children’s Hospital. However the nearest healthcare facility is Connexion, an integrated commercial, medical and hospitality development just along Farrer Park. Cityscape at Farrer Park is an A-1 residential address where you can make sure all your needs are met, from the physical to the social. It’s the kind of home you would really love to own. Apart from that, it can yield you great returns if you decide to rent it out. Whether you’re buying a unit to live in or invest in, it’s best to get sound advice. It’s also a must to compare home loan Singapore first so you won’t end up wasting your hard-earned money. Contact iCompareLoan mortgage broker and ask them about the best way to proceed. Come home daily to the relaxing ambiance of an urban sanctuary, in an A-List home that blends with nature. 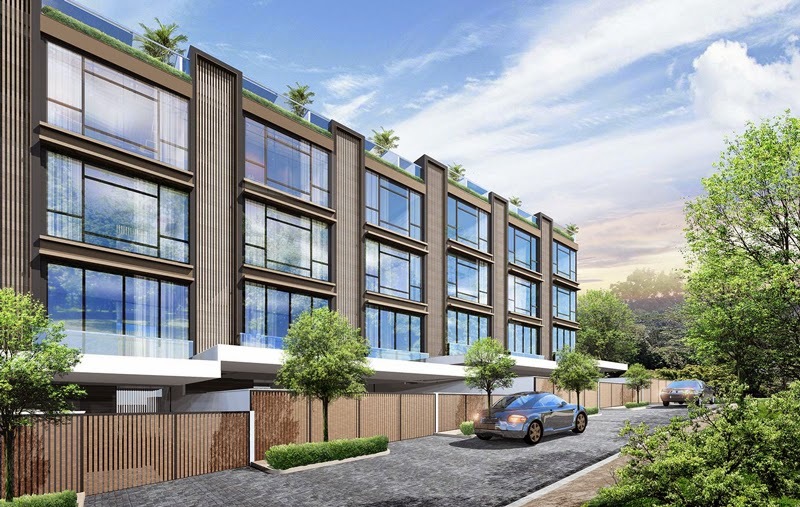 Principal Garden is a new residential address in Tanglin. Along Prince Charles Crescent is a parcel spanning 268,715 square feet, soon to feature a 24-storey high-rise tower surrounded by rolling greenery. It’s a 99-year lease by UOL Venture Investments and Kheng Leong Company, to be fully completed by the end of 2022. The Tanglin area in Singapore’s third district is an exceedingly favorable neighborhood. Popular among locals and foreigners alike, it places you right in the midst of various lifestyle choices as well as a wealth of everyday essentials. The country’s Central Business District is also merely moments away. In addition, within a few minutes’ drive are must-visit attractions such as a first-class shopping mecca and a world-famous garden. Windows open into a spectacular view of either Mount Echo or the Jervois neighborhood. You’ll have a marvelous time living at Principal Garden as it has offerings that pamper you with the privileged life. For instance, you’ll be welcomed into the building by a palatial Grand Lobby. You can then spend your down time enjoying a dip in the swimming pool, getting a tan in the pool deck, or picnicking by the barbecue pavilions. You may also make use of the indoor gym or the outdoor gym. To make your daily routine much more comfortable, you can take advantage of the car park, resting assured that the development has 24/7 security. Principal Garden’s most unique feature, however, is the greenery. As eighty percent of the property is allotted for garden space, you’ll have a relaxing, flourishing sanctuary right beyond your doors. Step out of the confines of your lovely home and enjoy the beautiful outdoors – and in a secure, private environment. If you want even more verdant views, you can easily go to any of the nearby parks, like Alexandra Canal Linear Park, Pearl Hill City Park, Fort Canning Park, Hong Lim Park, and the famous Singapore Botanic Gardens. Orchard Road is only minutes away. Apart from that, the site is near several malls and shopping centres, such as Tanglin Mall and Tanglin Shopping Centre. Also close by are Valley Point, Great World City, Tudor Court, and Tiong Bahru Plaza. IKEA Alexandra and Queensway Shopping Centre are quite near too; the same is the case for Clarke Quay, Raffles Plaza, and the Harbourfront area. Active recreation can be among your daily pursuits, as you will be living close to Delta Sports Complex, Henderson Community Club, and Queenstown Stadium. Your kids can also have their share of outdoor activities at Tiong Bahru Adventure Playground. You won’t have to be stressed out by taking your kids to school in the morning and picking them up in the afternoon. With so many schools close by, there’s one that will suit your family in terms of education and convenience. Your younger children can go to Alexandra Primary, while the older ones can go to Henderson Secondary, Queenstown Secondary, or Gang Eng Seng. If you’ve got daughters, you might consider bringing them to Crescent Girls’ School. And if you’d rather send your kids to an international institution, you may want to think about Chatsworth International School, Sir Manasseh Meyer International School, or Tanglin Trust. It’s always good to live near a hospital or two, maybe even a few clinics. Health has got to be a high priority for every person who wants more out of life, and a great way to see that through is to live where medical facilities are easily accessible. From Principal Garden, it’s just a short distance to Alexandra Hospital, Camden Medical Centre, Gleneagles Hospital, Singapore General Hospital, and iCare Medical and Wellness Clinic. That can be a great relief when it’s time for check-ups, and even greater in an emergency. Redhill MRT Station is within an easy, five-minute stroll. There are also several bus stops at Tanglin Road and Alexandra Road. When a car suits your needs, you can take a drive down Queensway, Jalan Bukit Merah or the West Coast Highway. The streets also link up to several expressways, including Central Expressway, Ayer Rajah Expressway, East Coast Parkway, and Marina Coastal Expressway. Once you move to Principal Garden, your everyday lifestyle will be filled with a level of privilege and advantage that only this address can provide. You won’t regret buying your next home here, as the quantum is quite reasonable, and the location itself is a promise of good capital appreciation. Talk to someone from iCompareLoan mortgage broker about this, so you can have a better picture of the investment you are making. Aside from that, iCompareLoan can give you a hand as you compare home loan Singapore and plan your finances.